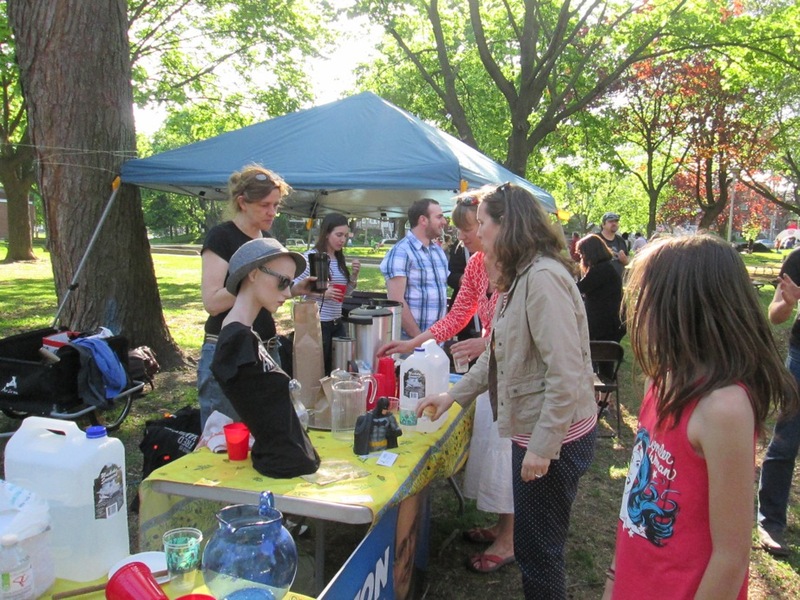 With beautiful summer-like weather, Environment Day on May 22 4pm to 8pm in Fred Hamilton Park was a huge success. The city provided compost for everyone and mulch for the park trees and an opportunity to dispose of batteries, old paint, computers, etc. in an eco-friendly way. Ritter Chase Contracting, general contractor, bcritterchase@gmail.com and Sanagan’s http://www.sanagansmeatlocker.com. Six more people signed up for the adopt-a-tree program in our parks. Councillor Mike Layton helped with the BBQ and Marco and his crew did a great job keeping everything running smoothly. Dana and Steve gave a tree tour of the park and Councillor Mike Layton shared his birding knowledge. Thanks to the FoRRP Events Committee (Pat, Zac, Tim, Rhea, and Bob) for their hard work organizing the event. Special thanks to Rhea for procuring the wonderful raffle donations and to John for providing the tent. Thanks also go to Peter, Cooper, Aidan, Samantha, Ben, Melana and Jill who assisted that day!